Kemberly Richardson reports live from East Harlem. 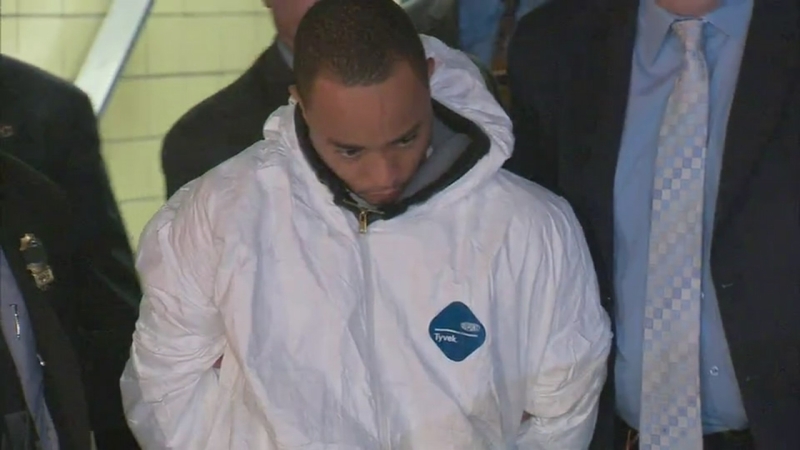 NEW YORK -- Charges have been filed against the suspect in the fatal shooting of an NYPD officer. Police say Tyrone Howard, 30, has been charged with first-degree murder and first-degree robbery. Tyrone Howard was walked to a waiting police car. NYPD Deputy Chief of Manhattan William Aubrey said Howard is accused of shooting and killing NYPD Officer Randolph Holder Tuesday night in East Harlem. Court records show Howard, who goes by the street name "Peanut," has a long criminal history, with 18 prior arrests and three outstanding warrants. He was wanted for an earlier shooting in East Harlem. The NYPD said there's video evidence, physical evidence and witnesses that will tie him to the shooting. The department said a lineup was conducted Wednesday to tie him to the robbery of a bicyclist minutes before the shooting. Aubrey walked through the details of what happened in the 13 minutes leading up to the officer's shooting. Mayor Bill de Blasio said changes should be made to the system to keep people like Howard behind bars. 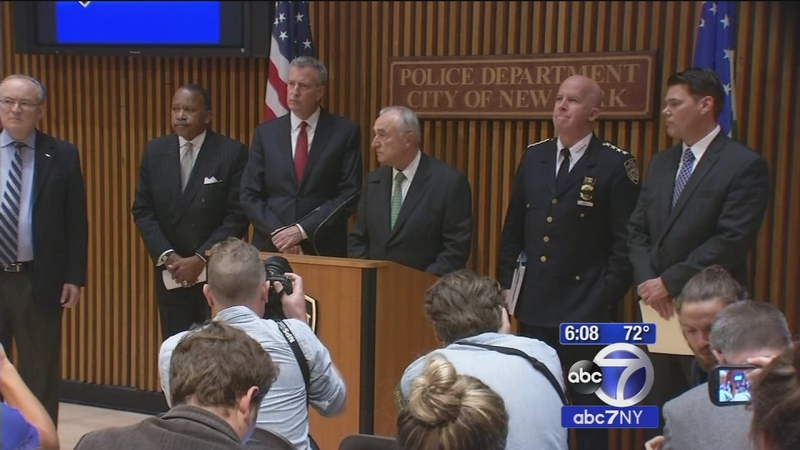 "The perpetrator is a hardened, violent criminal and should not have been on the streets," deBlasio said. He's proposing changes to the criminal justice system to lock up the hardened criminals in the city who are capable of crimes like this. He said the numbers of criminals in this category are in the thousands, compared with the millions of people who live in the city. 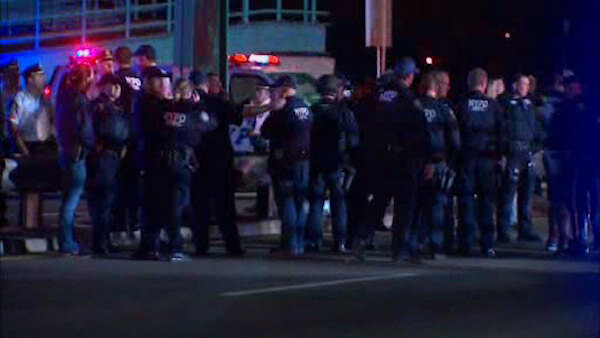 An NYPD officer was shot Tuesday night after he responded to shots fired and chased a suspect to a footbridge at the FDR Drive. Police Commissioner Bratton strongly questioned why the suspect in the police shooting was diverted to a drug program after his arrest last year, part of a group of 19 violent drug dealers operating in an East Harlem apartment complex. Howard was ordered into a court-mandated drug diversion program, which is meant to keep some drug offenders from further crowding already overcrowded jails, after his arrest last October. But Howard stopped taking part in the program in May. "If ever there was a candidate to not have been diverted, it would be this guy," Bratton said. "He is a poster boy for not being diverted. He would have been the last person in New York City I would have wanted to see in a diversion program. He has no propensity, with the number of arrests over a many year period of time, of changing his ways." De Blasio described how the city is hurting from the death of one of its officers. Dave Evans has the details. "The feeling is feeling a deep sense of loss and mourning," he said. "The death of Officer Holder is hurting us all. He represented the best of our society." But for residents at at the East River Houses, where teams of detectives remain on high alert, it's just more of the same. "At the end of the day, somebody is always getting shot up in here," tenant Helen Lazo said. It's where Howard lives, and where police say the gun fight on East 102nd Street began that ended with Holder's murder. It all started right outside of Nestor Santana's window. "We got kind of scared, and she told me go ahead and turn off the light," he said. "And we were trying to get down on the floor." Sources tell Eyewitness News that the feud was part of an ongoing battled between rival gangs at the East River Houses and at the nearby Jefferson and Wagner Houses. Howard was one of 19 arrested last October for allegedly selling crack in and around the buildings, and things got so bad that Eugenia Ortiz packed up and moved. "The violence got so overwhelmed that either it was going to kill me emotionally or kill my kids," she said. Detectives are now questioning Howard inside the 25th Precinct, but the damage in his neighborhood is already done. "I fear for my safety, but I fear more for my kids," Lazo said. "I have a daughter and nephew, and they're always complaining they want to go outside late. I don't tolerate that at all."